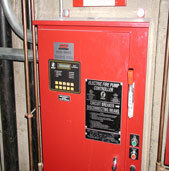 FSP has the know how to tackle your facilities protection needs. We know how to install, modify or repair your sprinkler systems, fire alarm, security system, video monitoring, access control and service your fire extinguishers. 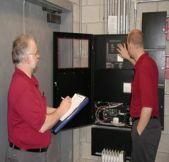 We monitor your alarms and keep you code compliant. If you need data networking, a new data drop or a fiber-optic backbone, we can help you. Contractors are hired to solve or minimize problems. That starts with listening to our customers' concerns. It continues with attention to detail in the design and craftmanship in our work. It's about focusing on the long term over the quick fix. We're in buisness because our customers keep coming back. When you make your living protecting lives and property "okay" won't cut it. Sweating the details is what separates us from our competitors. We concentrate on minimizing our customers' long-term problems, so you can concentrate on your buisness. We have the experience to make sure things are done right.